Outlet with Tee, SteelLock® Series,Bolted Mechanical fittings, SteelLock® ,Products,Rockpower - Fluid Handling Equipment and Machine Parts. * JIS K 6742: Unplasticized poly (vinyl chloride) (PVC-U) pipes for water supply or other Imperial pipes including PVC pipe, PE Pipe, ABS pipe and Steel pipe. 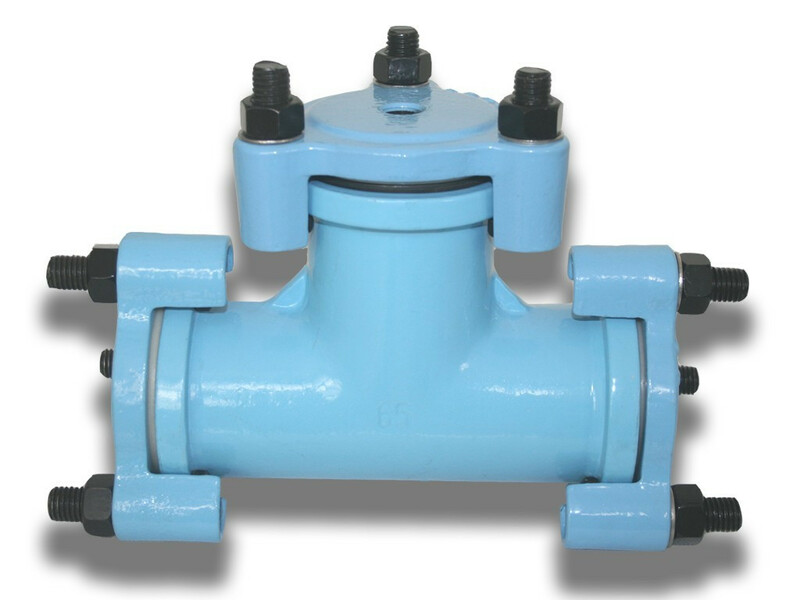 This item can be supplied without outlet for use as end cap or with outlet connectable with threaded fittings. 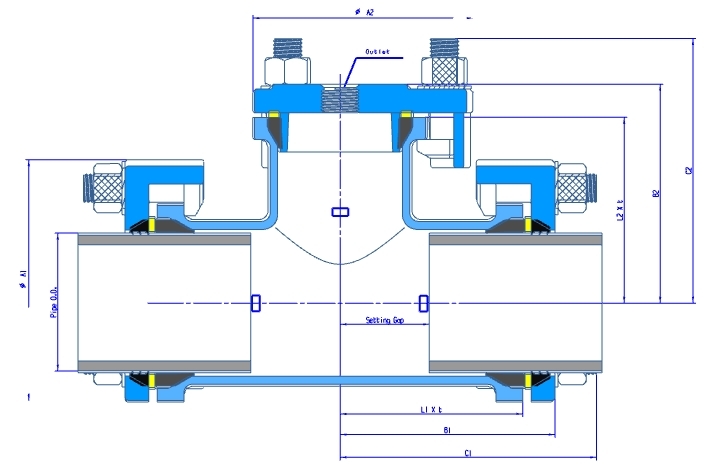 Outlet is available with 1/2",3/4",1",1 1/4",1 1/2"and 2" BSP or BSPT thread as per requiement.